Pope Francis changed the conversation, but can he change the culture? 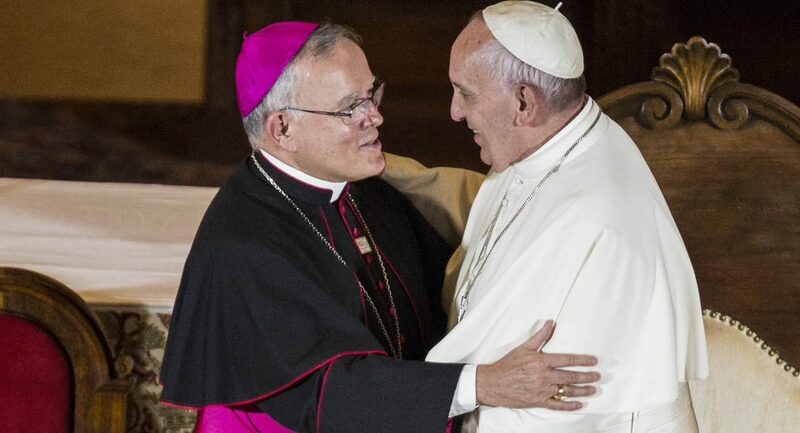 Archbishop Charles Chaput, in a statement March 13 on the fifth anniversary of Pope Francis’ pontificate, offered his prayerful best wishes on behalf of all the priests, deacons, consecrated religious and lay faithful in the Archdiocese of Philadelphia. “I’ve admired and respected his keen focus on service to the poor since we first met as young bishops delegated to the 1997 Special Assembly for the Americas,” the archbishop said. The archbishop noted Pope Francis’s style of speaking that is “appealingly his own,” one that has “gained the attention of Catholics and non-Catholics alike. He’s grasped that our modern world is morally fractured and that it’s mission territory,” Archbishop Chaput said. “He’s repeatedly challenged us to bear witness to Christ through concrete action — by serving the poor, by helping immigrants, by preserving families and by protecting the sanctity of life. It’s the kind of challenge we can and should answer with a hearty yes each day,” the archbishop said.